Previous PostServant x Service, Imouto, ED song.Next PostIllya, cutism, kawaii, rezu-rezu-janou. Already fin? 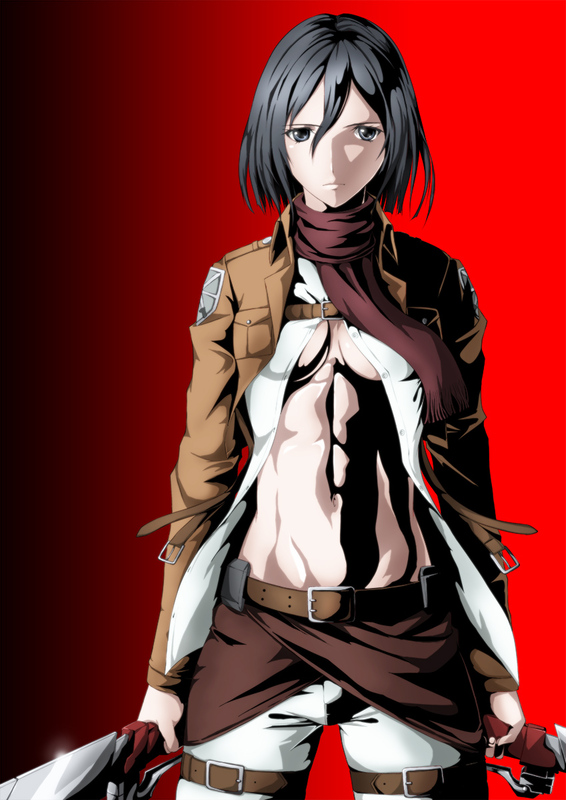 I actually want to write about the Female Titan once the series is over, since the anime is now hitting Volume 8 of the manga and that volume ends her story and somewhat explores why she is the way she is. In some ways, she’s somewhat of a feminist. I could be wrong though…. Yes, this is not as complex as Evangelion or Ghost In The Shell. The story is pretty straightforward, even I can understand. What I don’t know is why this anime got so popular all over the world? What’s the appeal? Here in the states, like Anime Expo, so many Attack On Titan cosplayers we saw, but not just at some cons or anime events, but in daily life, when I went to McDonald’s during lunch break, I saw a girl with Attack on Titan cosplay! She was dressed up as Sasha! So I know by this how this anime has gotten this big. There were A LOT of Titan cosplayers at Otakon too. Some even had bottles of booze as the 3D Maneuver Gear gas tanks. I think it’s the fact that the story is so straightforward to the point that its themes affect so many young people these days. That’s cool, booze bottles turned into 3D maneuver gear. Yes, straightforward story, simple, broader appeal, good characteristics of a grand narrative, and that uniform is also a factor. Yes, easy to make parody on the characters. .